Talk Tuesday: What’s For You Is For You! Why feel resentment or envy because of someone else’s success or advantage? Especially when you don’t know what that someone has been through to get to where they are. You have not gone through their struggle, pain, heartache or experienced what they have. 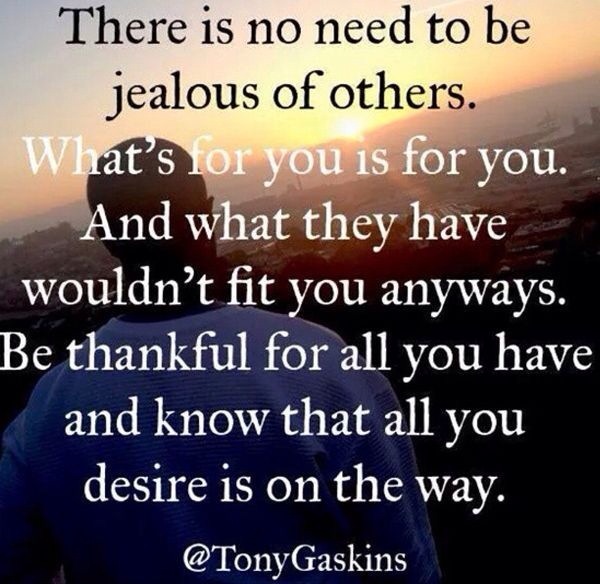 Their blessings are their own and they probably wouldn’t fit you anyway. It’s ok to appreciate their blessings and use it as motivation to work towards your own but know that you will have to go through your personal journey to get there. Remember that what God has for you is for you alone! Believe that your blessings are on it’s way.